Interactive Furby toy for the child will be a great friend and interlocutor, especially if for any reason parents do not have the ability to have a pet. Many people wonder how Furby. However, before looking for the answer to this question, you should understand that there are varieties of toys in the sale. 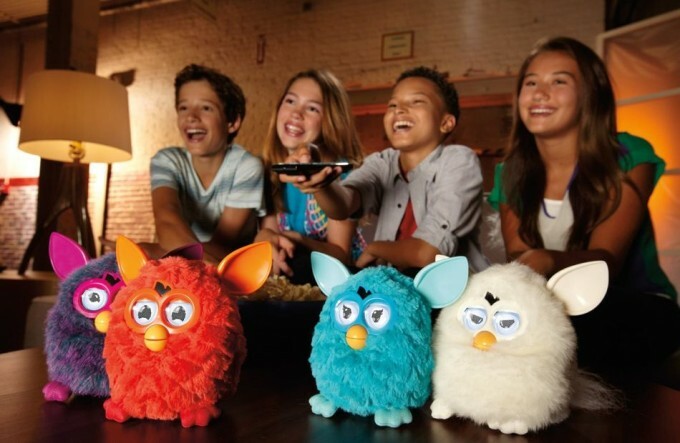 Toys Furby appeared on the market a few years ago. They were able to publish various sounds, to sing, to dance, to respond to the touch. In 2013 in the shops of Russia, the company has put a modified Hasbro interactive toy that not only has in its lexicon a few phrases in the Russian language, but also able to learn new words and sentences. Furby, which speaks Russian, has many variations of colors. Its price does not differ depending on this characteristic. These toys are in major baby chain stores from 3500 to 4500 rubles. At the same Furby you can purchase are cheaper during different promotions. Also best purchase you can make if you buy a toy complete with set of accessories. Furby for sale carrying bags, glasses, pillows, headphones and more. At the end of 2013, the company Hasbro went on, elated with their success on the Russian market of interactive toys, has released a new product - Furby Boom. This toy has all the features and abilities of a regular Furby. The main difference is that it can multiply. Furby Boom interactive lays eggs in a special application that you can install on a tablet or phone, the eggs hatch into little Furblings. The eggs and the babies require care, they also need to play. Toy Furby Boom costs about 4000 rubles. The usual Furby (including Furby Boom) can change its character depending on how you behave with him the owner. He can be evil, good, crazy and fun. However, this toy is not affordable for all parents. But it currently is not a problem. Together with Furby Boom on the market there are mini versions of Furby and his friends, who cannot change the nature, but also fun talking, dancing and singing songs. Such a toy can be bought for 1,000 rubles, or a little more. Little Furby initially have inherent in them a special character, they can freely communicate with other interactive counterparts and successfully to understand them.